Although most commonly silicosis is a chronic disease that develops over decades from exposure to low concentrations of silica dust, accelerated and acute forms are also known. Accelerated silicosis usually occurs over as few as five to ten years, the hastened development stemming from exposure to unusually high levels of silica dust. Acute silicosis develops even faster, sometimes in as little as a few weeks of heavy contact with silica dust. There is no real cure for any form of silicosis, and the condition can worsen even when exposure is discontinued. The nature of acute silicosis, however, makes it a particularly dire condition that can equally affect the young and the old. 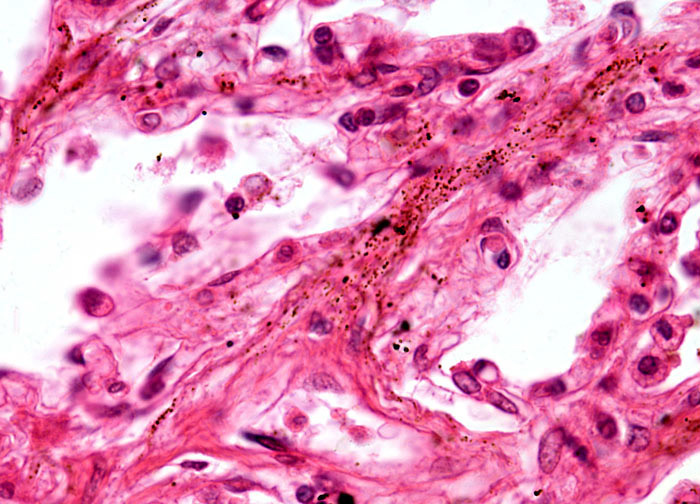 Acute silicosis is often treated with steroids, but the prognosis is usually poor because once respiratory failure begins it cannot be readily reversed.